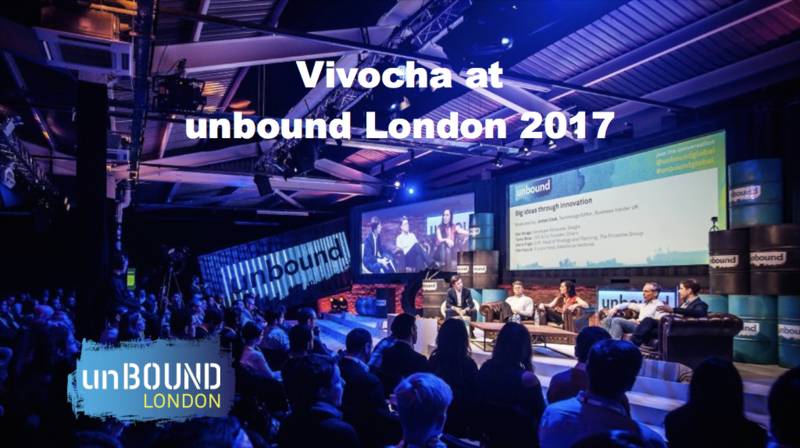 On July 19th and 20th, Vivocha will exhibit at unbound London 2017, one of the UK’s most exciting innovation festivals, dedicated to connecting brands and corporations with new disrupting technologies. A global event bringing together more than 5,000 founders, entrepreneurs, investors, corporate & brand executives and opinion-formers, it connects you with sources of innovation from around the world. Truly cross-industry, unbound London is the bridge between business and the world’s digital and technological pioneers. Follow us on Twitter for live updates from the unBound London 2017 or sign up here to get a demo before everyone else!